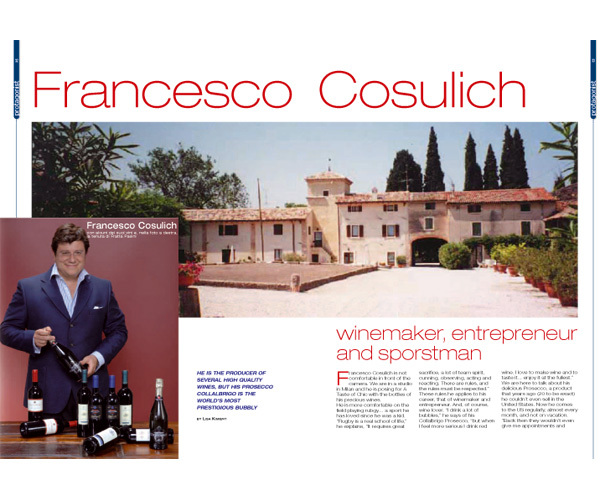 We first met winemaker, entrepreneur and sportsman Francesco Cosulich back in September 2015 while watching Italy vs France in the Rugby World Cup at Twickenham. We instantly struck up a rapport with Francesco, discussing many aspects of the game – in particular player welfare – so when we learned he also produced wine, we just had to get him and his wine collection involved! We are thrilled to introduce a selection from Francesco’s celebrated range of wines and proseccos produced on his Collalbrigo Estate in Northern Italy. 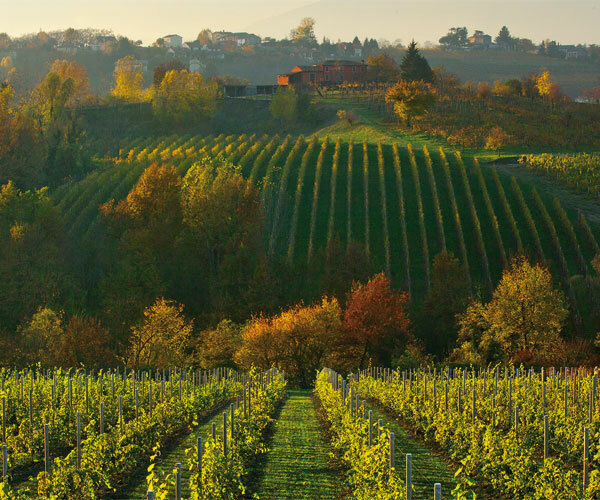 Located on the first hill outside of Conegliano in Italy’s Veneto region, the beautiful sloping landscape has been treasured by noble Venetian families for centuries and provides the perfect environment for a winery; so much so that Francesco’s Prosecco has been commended as one of the best in the country. 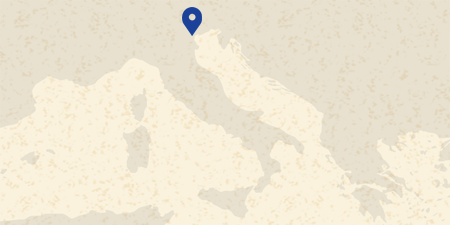 Not only do his wines carry the name of one of Italy’s most celebrated theatres, but as you would expect from such an old family estate, each lovingly-made wine has its own distinctive flavour. We are especially excited to bring you the launch of a highly exclusive creation. Many people will be familiar with the origin of the world famous Bellini cocktail, consisting of white peach pulp and brut sparkling wine. It was invented by Francesco’s childhood friend Guiseppe Cipriani of Harry’s Bar, Venice, in 1948 and the pair have now teamed up to produce a spectacular bottled version of this treasured cocktail which all Bellini lovers will simply adore! The Cosulich family has an impressive sporting pedigree. Francesco and his two sons have represented Italian rugby at top levels. 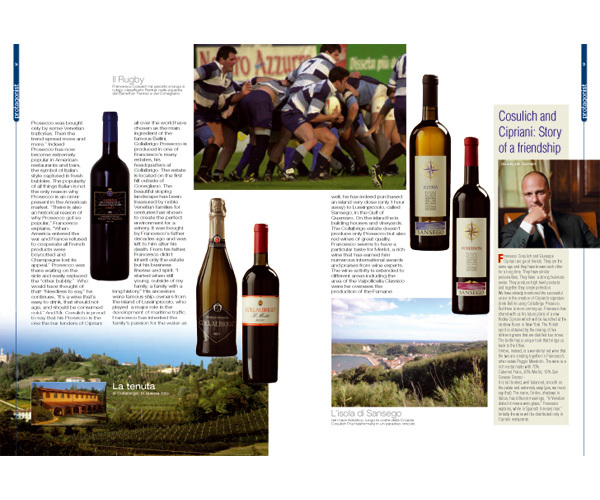 As a family and wine company they have also been official partners with the Italian Rugby team for the last 20 years and have contributed a huge amount to many worthwhile sporting causes. The Rugby Business Network was set up in 2010. A not-for-profit organisation, the network is dedicated to encouraging and celebrating the application of rugby’s values to business. Since its inception, the RBN has rapidly become the largest business network in the world for people with a passion for rugby. Our 25,000 members regularly hold events in over 50 cities around the world, where they help and inspire each other in business and life. By connecting our members, we hope they can better justify a sustainable investment back into the rugby community, whether that’s grassroots rugby, charities associated with the game or sponsorship of elite-level competitions. We want to create a sense of anticipation and excitement about the potential of rugby and business to move forward together. The whole network is built on the rugby’s goodwill, with the world’s top players, coaches and business leaders speaking for free at events held in venues laid on by supportive companies. The organising committees are business people who volunteer their time to facilitate the events. We encourage members who attend our networking events to start with the words ‘How can I help you?’, not ‘What can you do for me?’. From the very moment I heard about the Sporting Wine Club, it was clear to me that this was a natural fit for myself, my family and our wine business. I immediately related to Chris and Simon's vision for the SWC, which is built on some of the core elements I have centered my life around, such as sport, wine and friendship. 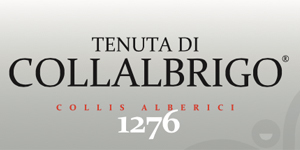 My passion for sport has indeed ensured a continuous involvement of Collalbrigo's wines with the Italian sporting environment throughout the years, ranging from sponsoring a local volleyball team when I was in my twenties to becoming the official partner of the Italian rugby team for over 20 years! An additional draw to the Sporting Wine Club was represented by the opportunity to support a fantastic cause such as ‘Life After Rugby’, which we feel very strongly about given the many examples we have seen in our own country of great young men struggling to find their path following their playing career. Giving something back is part of our sport and our nature and in the past we have been involved with the Elephant XV, and invitational team raising money for a schooling charity in Mozambique, as well as for La Colonna XV, which does an amazing fundraising job in aid of research for bone marrow diseases. We are incredibly excited about our new venture and look forward to meeting you all at the next Sporting Wine Club event.